Dr. Mac Sims Orthopedic Spine Evaluation Cervical IME Lumbar Examinations Georgia Doctor. Orthopedic Surgery. Spinal Surgeon. Spine Exams, Orthopedic Surgery, in orthopedics, everything is connected: bones, joints, ligaments and cartilage. Featured in Orthopedics Today for “Lumbar Interbody Fusion Devices: A Comparative Study” (presentation at 14th Annual IITS Meeting, May, 2001, Phoenix, Arizona.) as “Rectangular PLIF cage helps restore lordosis, prevent migration.” Vol. 21(11): Nov. 2001, pp. 17. 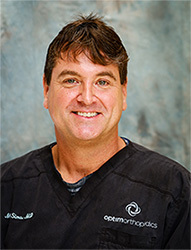 Founder of The Medical Student Involvement Team for the 1996 Centennial Olympics; Atlanta Committee for the Olympic Games Involved recruitment and placement of junior medical students from four Georgia medical schools for drug testing of Olympic athletes as well as community service across the state of Georgia.